The world of international Yacht and Boat shipping is constantly changing but our main priority has always been you, the customer. Being your choice is important to us. As a division of Trans Global Auto Logistics, Inc, Boat Export is a fully bonded and licensed NVOCC and Freight Forwarder with over 30 years of experience. We have grown to become a significant force among independent Freight Forwarders and our goal is to provide competitive shipping services to and from all parts of the world, tailoring to the needs of our customers while maintaining one of the highest levels of customer service in the industry. 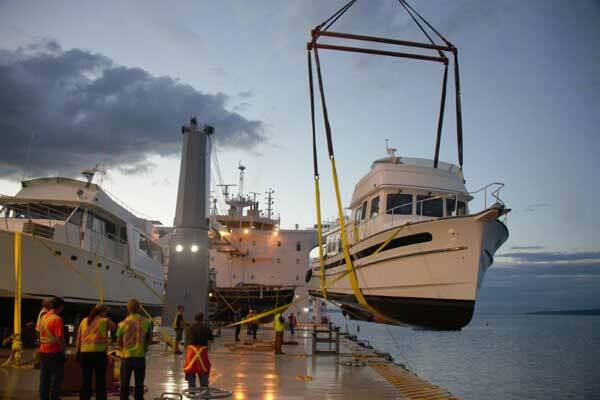 At Boat Export we want to make every aspect of shipping your Yacht or Boat as easy as possible. With our expertise, reliable and cost effective services we can assure you that quality performance at every level is being provided, not sacrificed. We offer complete shipping services between the US and all main European ports; the Mediterranean; West and South Africa; Middle East; Australia, Asia, South and Central America including Puerto Rico, Dominican Republic, and Brazil; as well as many other world wide destinations. • We are one of the leading privately owned International / World Wide shipping companies. • We have learned that success is a product of competitive prices through a high standard of care and attention to detail. • We are a fully bonded and licensed freight forwarder and NVOCC (Non-Vessel Operating Common Carrier) as a division of Trans Global Auto Logistics, Inc.
• We are licensed to handle all documentation associated with the regulatory and administrative tasks required to export cargo or import shipments to and from ocean and air ports located in the United States. • Whether you are shipping a Chaparral 220 or a Viking V65 Yacht, we will strive to assure that your cargo is shipped the safest, fastest and most economical way possible.